Amadeus are professional and experienced wedding singers/musicians for church and civil wedding ceremonies. We are well known wedding singers that play wedding music that will captivate & transform any wedding. Let Amadeus Music wedding singers create a special music experience for your wedding. For your wedding singers you can book any two or all three of us. We can tailor our packages to suit your wedding budget. Contact us anytime for information on prices, availability for weddings singers and wedding music. Amadeus Music wedding singers invite you to choose your favorite song/piece for your special day. We are together as a group for the past 13 years, and play Classical, Folk, Traditional and Modern styles for weddings & private functions. We will cover many different aspects of your day, whether it be church music, civil ceremony, pre-wedding reception or music during your meal. 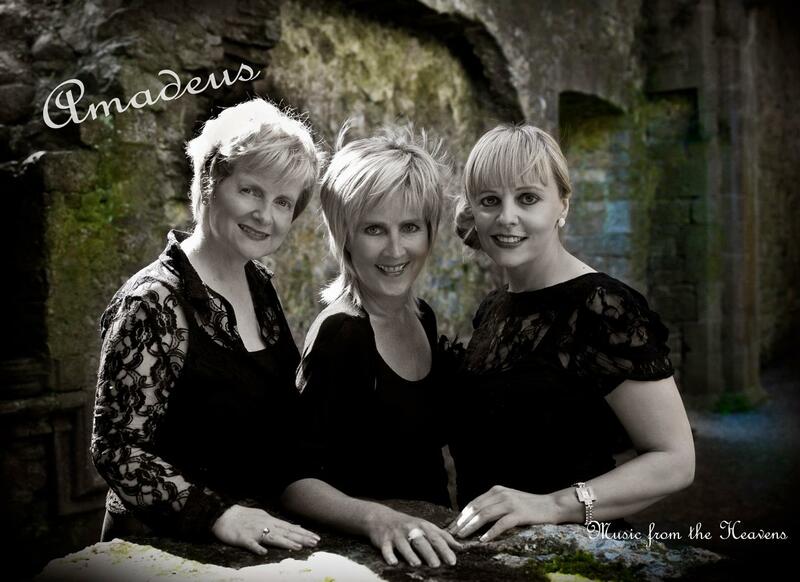 Amadeus – three accomplished and experienced wedding singers & musicians with an enchanting and unique vocal blend. Amadeus wedding singers/musicians specializes in providing elegant, harmonious music for a variety of occasions from weddings and funerals, church music concerts and corporate events. We cater to the needs of the client and offer versatility both in our styles of music & singing. We can also provide professional guidance throughout the booking process to ensure that you have the perfect music on your special day. We accompany ourselves with piano,flute,violin and low whistle which beautifully compliments our harmonies. Please take a few moments to browse our site where you can hear audio tracks, make a booking enquiry and more. At the church Amadeus wedding singers will entertain your guests from their vast Repertoire of songs and music up to half and hour before the Bride arrives. Contact Amadeus Wedding music. Amadeus, wedding singers/musicians will create a special music experience for your wedding. These wedding singers will captivate & transform any wedding. Professional and experienced wedding singers for your church and civil wedding ceremonies. Amadeus are well known wedding singers/musicians that play wedding music. It was out of the love of the romantic and the quirky that Schuzan was born – a classically trained Soprano Duo designed to mark occasions with unique style. Their sound is based on a legato fusion of two harmonized voices and their repertoire is universal and fresh whilst never losing sight of the romantic and individuality of each occasion. Schuzan like to meet the couple and get a sense of the story for each wedding day – they see themselves as an adjunct to the celebration that should tally with the couple and their future aspirations. Sparkling in black sequins, equipped with logo-printed instrument accessories they excel in luxury giving people a real sense that you get way beyond what you pay for.